Your precious little one has been soaking up a lot of knowledge since birth. And a lot of this knowledge isn’t taught in schools. For example, something as seemingly simple as learning to crawl and then taking those first steps requires a tremendous amount of biological development, growth and cognitive skill. By the time a child turns three, they are talking and interacting with the world and others in a way that will have profound effects on their later life. 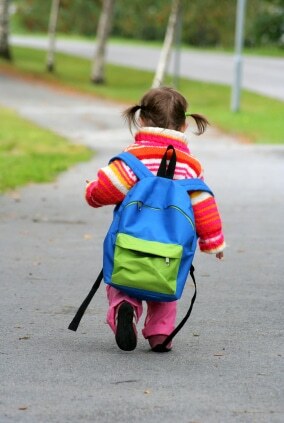 For you as the parent, at around this age you may begin thinking about the day that they start their first day of kindergarten. But you may have some concerns about kindergarten readiness. Is your child ready for kindergarten? Below we will examine some of the kindergarten readiness indicators. The question can cause many parents anxiety, especially if this is their first child to go kindergarten. But there are both social and cognitive benchmarks that indicate kindergarten readiness that can help. Socially, your child should have the ability to play and interact with other children in an appropriate way, an awareness of sharing and taking turns, handling toys and other materials properly and putting them in their proper place. Other behavior indicators include an understanding of basic safety and asking for help when it is needed. For a detailed list of readiness indicators, check out this great kindergarten readiness checklist. It will help you track and document your child’s progress towards that first day of school! Kindergarten Readiness programs are a great way to ensure that any gaps in our child’s readiness are filled. Preschool is a great way to prepare your child for kindergarten. Preschool programs have been shown to give kids the social and intellectual skills they need to have a successful kindergarten experience. Choosing a preschool is not an easy task and it is important that you ensure that you are enrolling your little scholar in a quality preschool experience. Make sure you consider the things that indicate a quality kindergarten readiness program. Click here to learn more about how to choose a quality preschool or childcare focused on kindergarten readiness. At Watch Me Grow North Las Vegas, we are committed to proving your child with the quality kindergarten readiness programs they deserve. Our NECPA accredited programs, facilities and staff ensures that all the aspects of your child’s care live up to a rigorous set of standards. 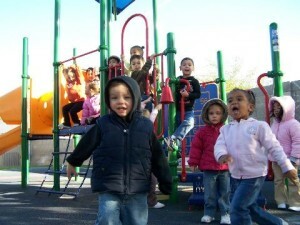 The caring and nurturing staff at Watch Me Grow North Las Vegas will work to help your child prepare for the challenges and excitement of kindergarten learning. Come check out our awesome kindergarten-readiness programs and contact us today! We look forward to hearing from you.